McLeod Mirror Series 1: See Yourself in Others are not actually made of mirrored glass, but an LCD screen housed in a wooden case with a web cam attached to the top. The camera records the viewer and creates a collage of the person’s image along with images of everyone else who has stood before the mirror. 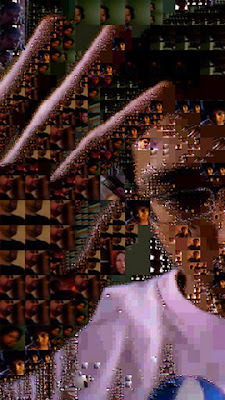 The image allows the viewer to “see themselves reflected in others” in a new way. The mirrors bring a timeless bathroom product into the digital age, creating a twist on the staple that is more interesting and dynamic than the original, while perhaps pointlessly complex. The images are not recorded or archived, so the digital artwork created on the spot will never be seen again.